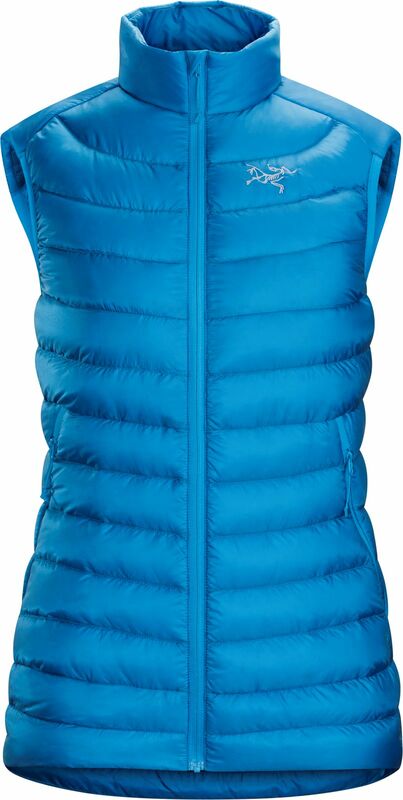 Arc'teryx Women's Cerium LT Vest (Past Season) - with a minimalist design providing core warmth for very little weight, the Cerium LT vest performs as a midlayer or standalone in cool, dry conditions. Premium 850 fill down is resilient and warm, the Arato 10 shell provides lightweight durability, and Down Composite Mapping strategically places Coreloft synthetic insulation in moisture-prone areas. The women’s specific trim fit layers easily under a shell, and the sewn-through construction further reduces weight and increases packability.